English Proficiency Exam is a two-stage exam including a Preliminary Test of English, a writing exam, a speaking exam and a multiple-choice test prepared and held by the University of Turkish Aeronautical Association, Department of Foreign Languages. 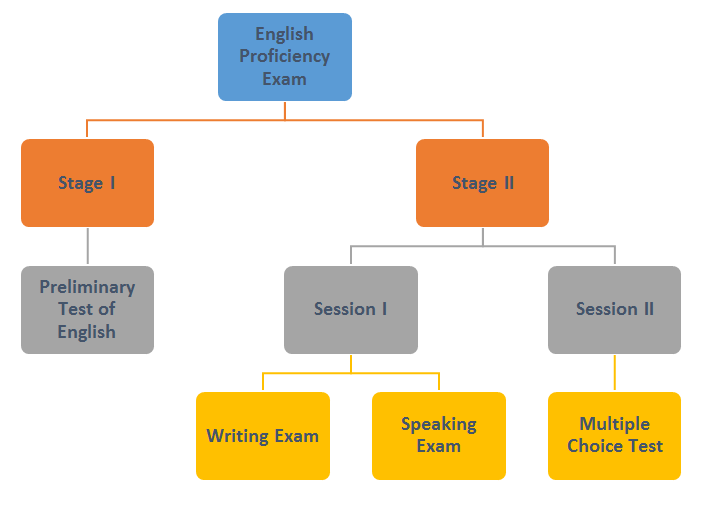 The first stage of the exam (Preliminary Test of English) is held once a year every September. At the beginning of the academic year, newly-registered students qualify to take the first stage of the exam. The newly-registered students who pass the first stage and the students who failed the prep program at the end of the previous academic year qualify to take the second stage (Writing Exam, Speaking Exam and Multiple-Choice Test) of the Proficiency Exam. The second stage of the Proficiency Exam is held twice a year both in June and September. 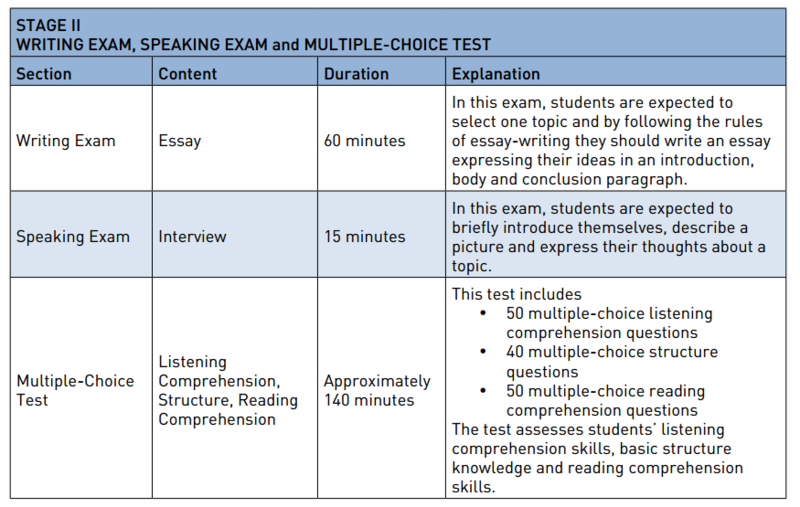 The tests and the minimum scores needed to be exempt from prep program are given in the table below. * TOEFL-IBT scores obtained from only the centers at universities and TAA are accepted. ** TOEFL-ITP scores obtained from only the University of Turkish Aeronautical Association are accepted.